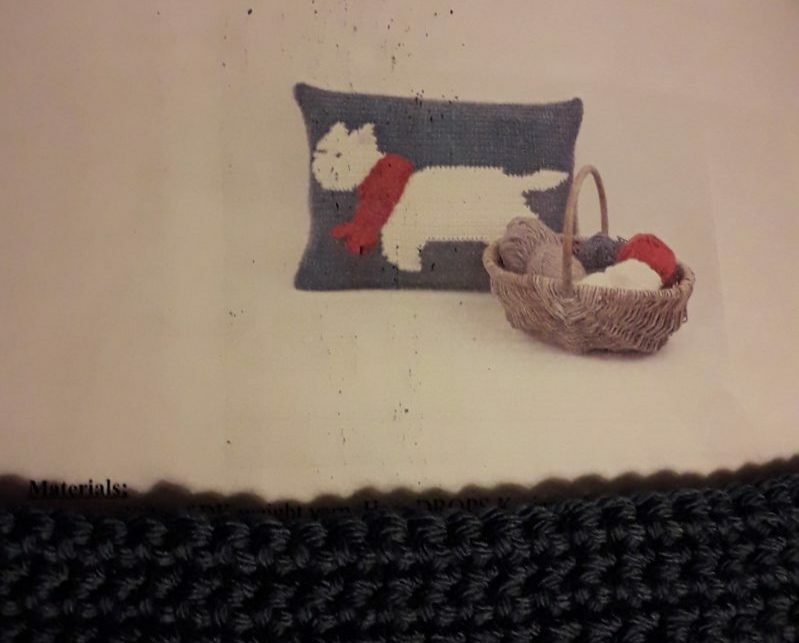 This blanket was a pattern test for Salter’s Stitches. 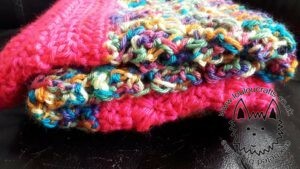 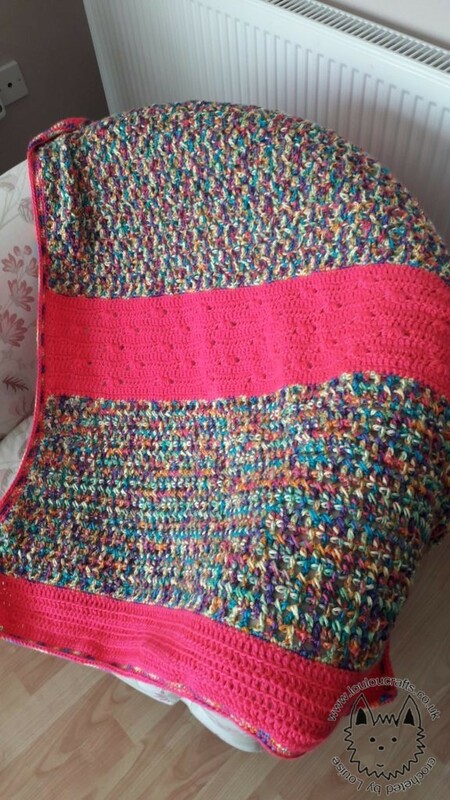 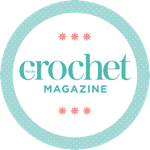 The yarn is Rainbow Bright and Neon Pink from Caron Simply Soft. 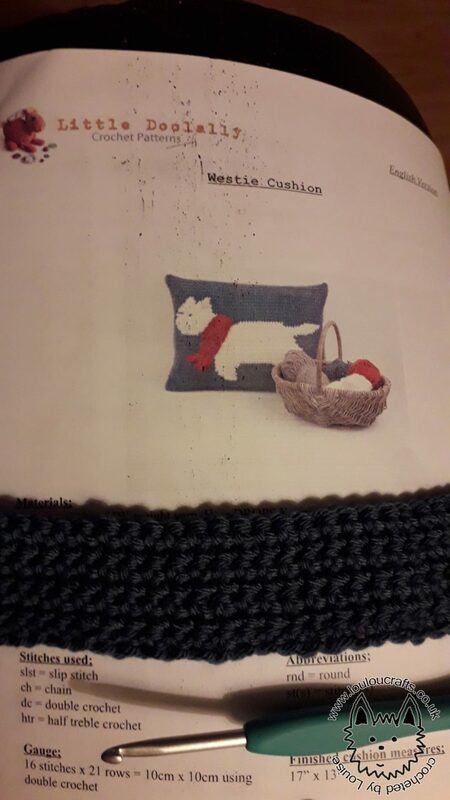 Moving away from hats for a while, I’m back to Christmas projects. 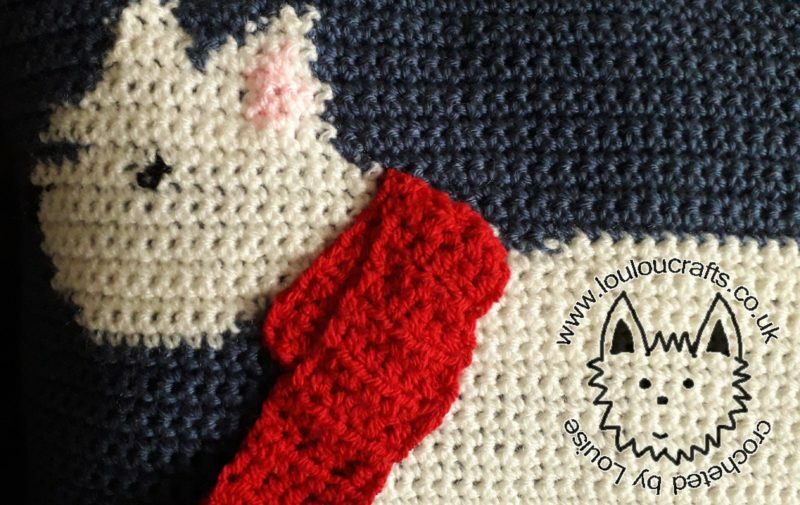 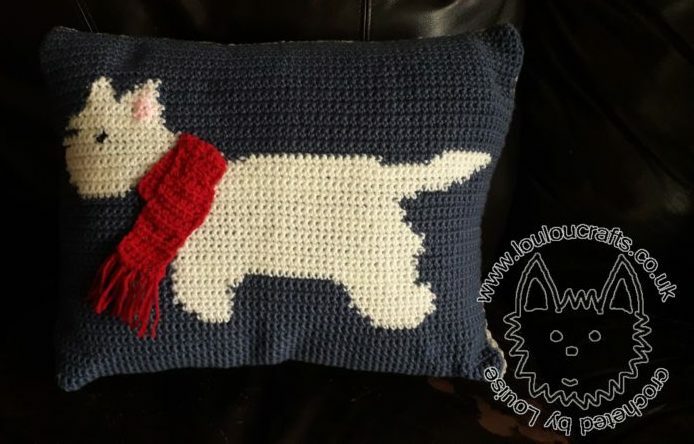 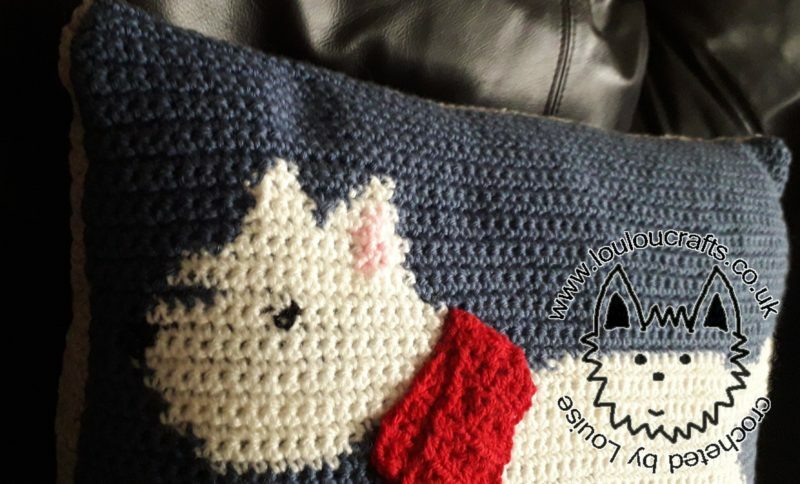 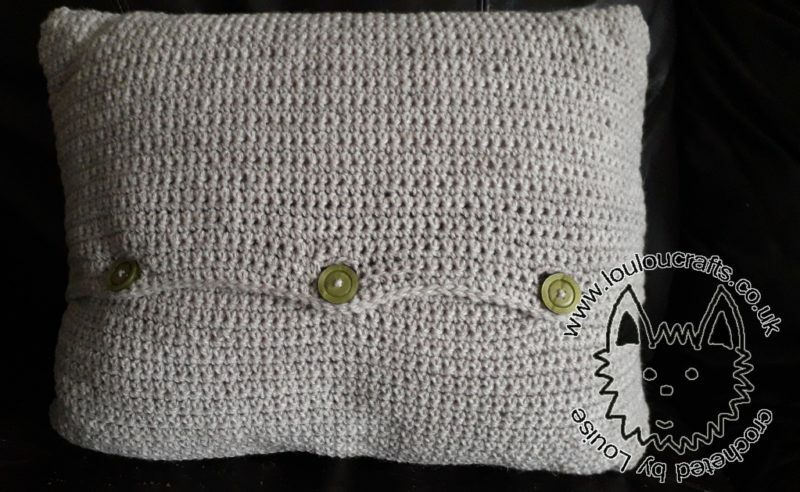 I’ve started on a super cute Westie cushion, pattern by Little Doolally and can be found on Ravelry. 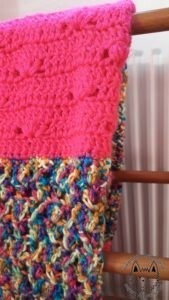 The yarn is Deramores Studio anti-pillling DK in Blue Velvet.